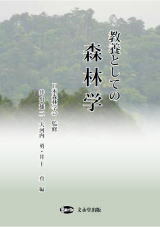 抄録：　Natural forests offer numerous benefits to indigenous communities and society at large. Incomes from forest sources play an important role in rural households. In addition to this, environmental sources in the forests contribute significantly to rural households’ livelihoods and economic well-being. This paper examines the contributions of forests to the livelihoods of the Chakma tribe in Bangladesh. Using the data from 60 randomly sampled households from three villages, it measured forest-resource use with a monetary yardstick. As revealed through analyses, natural forest-sourced income occupies the second-largest share in total average household income next to shifting cultivation income in the study area. Forest products represent an important component in the local livelihoods, with a direct forest income of 11,256 tk year−1 household−1 (tk = taka, the national currency of Bangladesh; US$1 = tk70), or 11% of the total income, in addition to the households receiving monetary benefits of 18,951 tk year−1 household−1, or 21% of the total income, through the consumption of forest products. The remaining income came from shifting cultivation practice. It was also observed that larger families with more people gathering forest products realized more forest income. This study will be relevant to forest and environmental policy-makers as well as indigenous community development practitioners. 抄録：　We investigated soil organic matter in a forest of natural Hinoki cypress (Chamaecyparis obtusa) under perhumid weather conditions in north central Taiwan. Humic substances along the transect from the summit and footslope to lakeshore were characterized by use of solid-state cross-polarization, magic-angle-spinning 13C nuclear magnetic resonance spectroscopy (CP/MAS 13C-NMR). The major components of soil organic carbon in whole soil and humic substances were alkyl-C, O-alkyl-C, and di-O-alkyl-C, ranging from 60.6% to 80.7%, then aromatic-C, 7.5% to 9.8%. The degree of humification of soil organic matter, both O-alkyl-C/alkyl-C ratio and aromaticity, decreased slightly from the summit to lakeshore. The content of functional groups of polar and acidic groups, including O-alkyl-C, di-O-alkyl-C, and carboxyl-C, corresponded with the topographical effect, increasing slightly from the summit to lakeshore. However, the relatively low degree of humification in soils of this perhumid forest and low aromaticity were due to high precipitation and acidity, which appeared to hinder organic matter decomposition with topography change. 抄録：　Full-sib families are produced from artificially controlled pollination in tree breeding. This mating design is, however, very costly and logistically difficult as most tree species are large in size. With the development of molecular markers, known relationships among the offspring could be established from the maximum likelihood in paternity analysis. In this study, we successfully established full-sib families on the basis of paternity analysis of offspring derived from two Shorea platyclados seed parents from the natural forest. A total of 2,049 and 970 offspring were collected from two mother trees M01 and M06, respectively. Potential pollen donors surrounding the mother trees were sampled, specifically a total of 77 adult trees within the 10-ha plot for M01 and 28 adult trees within the 4-ha plot for M06. For mother tree M01, parentage was assigned to 45.4% of the offspring at the 95% confidence level with 59 full-sib families established. For mother tree M06, parentage was assigned to 19.9% of the offspring at the 95% confidence level with 19 full-sib families established. The establishment of full-sib families in S. platyclados enables breeding in dipterocarp tree species, once a decade-long proposition, to become more efficient in a cost-saving manner.